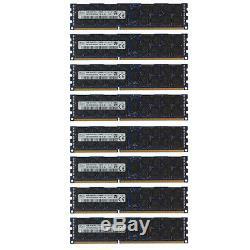 128GB Kit 8x 16GB DELL POWEREDGE R320 R420 R520 R610 R620 R710 R820 Memory Ram. Hover over the Thumbnail to enlarge. DELL POWEREDGE R320 R420 R520 R610 R620 R710 R820. All of the components in our modules are sourced from the top manufacturers and only utilize new and new condition components. With hundreds of suppliers in our database at all levels of the supply chain, we are able to source the highest quality components at the lowest possible prices. Memory upgrades have never been easier. Designed specifically to help your computer run faster and smoother, an A-Tech memory upgrade is one of the fastest, most affordable, and easiest ways to improve your system's performance. A-Tech memory empowers your computer to achieve faster application loading times, faster system responsiveness, and increased ability to multitask and handle data-intensive programs. A-Tech modules are rigorously tested to ensure that your memory meets our stringent compatibility and performance standards. Every A-Tech ram module is tested for complete functionality before it leaves our doors. Give your computer the best, trust A-Tech! We look forward to working with you and hope that you give your computer the best, and trust A-Tech! At A-Tech, customers come first. While servicing many customers around the globe, we have realized that making the customer happy is our number one priority. We have listed many products specific to any type of system such that you are able to pick the one that works right for you. We have professionals ready to help you with any questions that you may have about purchasing, installing, or upgrading your computer memory. ATTENTION: Other limited time deals available. These are identical kits to the one in the listing, with equal compatibility. The only difference is the current listing is 12800 1.35V instead of 12800 1.5V or 10600 1.35V. 12800 1.5V is same performance with slightly higher power consumption at a lower price. 10600 1.35V operates slightly slower, with equal power conservation at a lower price. 1.5V PC3-12800 8x16GB DELL POWEREDGE R320 R420 R520 R610 R620 R710 R820 Memory Ram This product is designed for customers who want the best performance for their computing environment and the best deal. Take a look into this special offer or the other ones marked below to see the opportunities that A-Tech has in store for you! 1.35V PC3L-10600 8x16GB DELL POWEREDGE R320 R420 R520 R610 R620 R710 R820 Memory Ram This product is designed for people who want the best deal upgrading their systems and also want the best power conservation, but not necessarily the best performance. Take a look into this special offer or the other ones marked below to see that opportunities that A-Tech has in store for you! 4GB Module DELL POWEREDGE R320 R420 R520 R610 R620 R710 R820 Memory Ram. 16GB Kit 4x 4GB DELL POWEREDGE R320 R420 R520 R610 R620 R710 R820 Memory Ram. 32GB Kit 8x 4GB DELL POWEREDGE R320 R420 R520 R610 R620 R710 R820 Memory Ram. 8GB Module DELL POWEREDGE R320 R420 R520 R610 R620 R710 R820 Memory Ram. 32GB Kit 4x 8GB DELL POWEREDGE R320 R420 R520 R610 R620 R710 R820 Memory Ram. 64GB Kit 8x 8GB DELL POWEREDGE R320 R420 R520 R610 R620 R710 R820 Memory Ram. PC3-12800 1.35V 16GB Module DELL POWEREDGE R320 R420 R520 R610 R620 R710 R820 Memory Ram. PC3-12800 1.35V 64GB Kit 4x 16GB DELL POWEREDGE R320 R420 R520 R610 R620 R710 R820 Memory Ram. PC3-12800 1.35V 128GB Kit 8x 16GB DELL POWEREDGE R320 R420 R520 R610 R620 R710 R820 Memory Ram. The item "128GB Kit 8x 16GB DELL POWEREDGE R320 R420 R520 R610 R620 R710 R820 Memory Ram" is in sale since Wednesday, November 4, 2015. This item is in the category "Computers/Tablets & Networking\Computer Components & Parts\Memory (RAM)". The seller is "atechcomponents" and is located in Columbus, OH, USA. This item can be shipped worldwide.